No. 5. 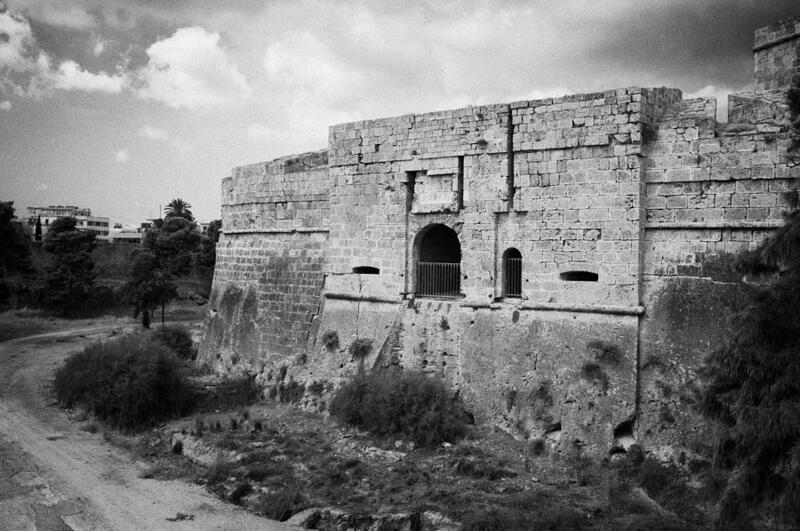 The main gate into Famagusta as I remember it. I am so grateful that I still possess a good mind and I recollect lots of thoughts and memories of my younger years; especially things that excited me and also things that made me sad. I was living with my maternal grandparents in Cyprus at the time, while the island was under British occupation and old memories come to mind of me scribing notes everywhere on bits of paper, and in the evenings when I had free time, I would enter them in a notebook. If I wasn't sure about things that I did not understand, my maternal grandparents were there for me always to advice and guide me. One of many memories that springs to mind, is of a hot summer's day when I was about seven years old. My mother came over to Cyprus from England for a short visit, and on that particular day my grandfather decided to take us on an afternoon trip to the medieval town of Famagusta. This is one of many cherish memories that has stayed with me till this day. Our arrival at Famagusta was few hours before sunset. 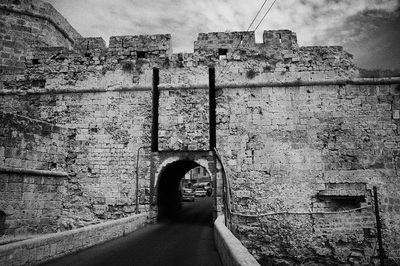 I remember entering the old town through a splendid fortified gate and admired the old moated high walls of dark huge brown stones with squat bastions at the corners. It was the very first time that I had seen such huge fortifications. I remember holding my mother’s hand, following her along, looking and listening to what she and my grandfather had to say. 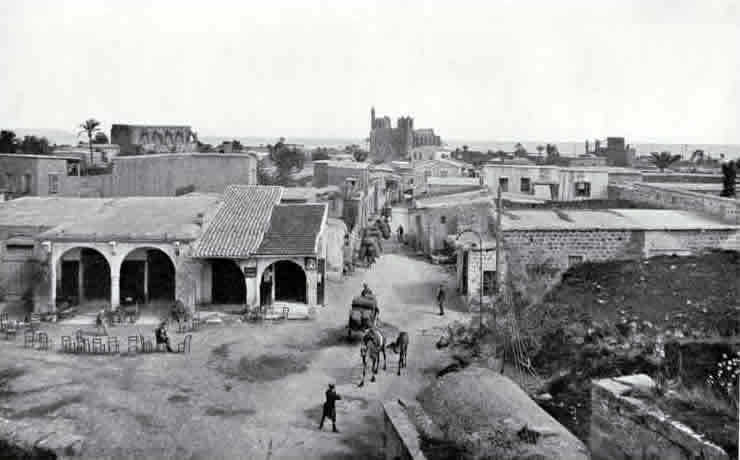 The old city of Famagusta looked so big and old and my grandfather said that the town have been left very much as it was when the Turkish guns ceased fire long time ago. I found out many years later that it was in the year 1571. All I can say now, is that Famagusta was and it still is remarkable; for it has survived as a complete walled city with its land gates, and sea gates, with its towers, its great Romanesque cathedral and its magnificent churches. At that young age long time ago, there was a scared look about the place. After the Turkish occupation the Turks failed to do anything about the preservation of the beautiful ancient churches, or the buildings and its walls, but left them gradually over the long years to decay and turn into old ruins. It was still quite warm while we were walking the various parts of the old town. There were lots of people walking about, with some getting on with their everyday lives. I vaguely remember visiting the outside of the churches of St. Peter and St. Paul and the great crusading cathedral of St. Nicholas. 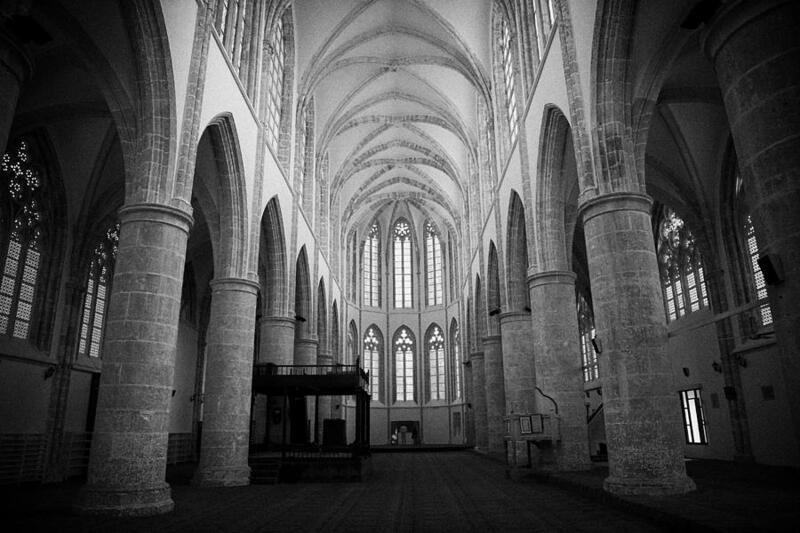 My mother wanted so much to go inside and visit the big church, but it was no longer a Christian church; it had been turned into a Turkish mosque. She was very upset and there were tears in her eyes. I recall my grandfather embracing my mother to comfort her. He then took us to see an ancient building in the old town that was used as a Christian church. It was the church of St. George. My grandmother said, that someone told her, that under the Turkish occupation this church was barbarically used as a stable. We went inside. It was nice and cool and very peaceful. I followed my mother and we lit a candle and went over and paid our respects to the icons, while my grandmother said a prayer by the icon of St. George. We followed in turn and did the same. I still remember my mother praying by the icon of St. George: he was her most respected saint of all the Christian saints. The sun was just setting when we left the church of St. George and we hurriedly walked part of the circuit of the fortifications. The view from up there was magnificent. We stopped to observe at two of the bastions and my grandmother told me a story about one of them, which I had completely forgotten about it till few years ago; a story that I thought was made up of Cypriot tales, but in fact it turned out to be a true historic fact. This is her story that she conveyed to us while we all stood upon one of the great bastions of old Famagusta. This tragic story began in the year 1571. The Venetians, who were the overlords of Cyprus till that historic year, were holding on inside the walled city Famagusta, while the Turks were the besiegers. 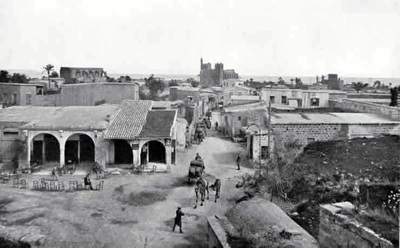 Eventually after a very long siege the Turks entered Famagusta and the Venetian commander Bragandino was captured and was brought before their Turkish general, Lala Mustafa. Three times he was force to bare his neck to the executioner’s sword, but each time it was slowly lowered without cutting him. It is written, that Bragandino kept his composure and looked at the Turkish general in the eyes. Mustafa eventually gave a sign and Bragandino had his nose and ears cut off. Records by eye witnesses speak of the Turkish general saying to Bragandino; “Where is your Christ now?” Bragandino stood in silence and dignity. For nearly ten days he was force to carry earth up to the ramparts - where we stood - and was force to kiss the ground each time he passed the Pasha’s tent. At the end he was led to the square of Famagusta, opposite the Cathedral of St. Nicholas and the royal palace, was then striped, tied to a pillar, and slowly flayed alive by what tradition says; a Jewish executioner. Bragandino died slowly, but heroically, and even at his last breath before he died he was praying. His skin was stuffed with straw, was tied to a cow and was paraded through the town. Then his tortured body was cut up and put on the gates of Famagusta. The Turkish general Mustafa was an inconceivable character, for he actually bargained with Bragandino’s sons, and he sold them what was left of Bragandino for a great price. In Venice there is a small church of St. Paul at the lovely campo near where Colleoni stands, and within this church lays Bragandino’s skin in an urn. This brave man of Famagusta finally came to rest in Venice. After that terrible event in history, Cyprus became a property of the Great Ottoman Empire and the Cypriot’s life was never again the same; for the glorious years of Cyprus were things of the past. In 2003 while I was in Cyprus with my wife visiting our families, we crossed over the border to the Turkish occupied Famagusta and revisited the old city square and the old church of St. George. The church had been half restored, and the icon of St. George was still there, but was moved to a different location within the church. I felt like a pilgrim returning back after all these years, and having kissed that old icon again, the images of that first visit came back into my mind; for I remembered my mother holding my hand, my grandfather lighting a candle and my grandmother kissing the icon and saying a prayer, asking St. George to protect us and safeguard my mother on her return journey back to England. It was a hot day and my wife and I sat in the main square and had lunch and refreshments. The Turks were very friendly. Right across from the square, was the Gothic Cathedral of St. Nicholas, and I remembered how upset my mother was on that first visit; because it was, at that time, a Turkish mosque and we were not allowed to go in. Just opposite the Cathedral, stood the Venetian Palace. 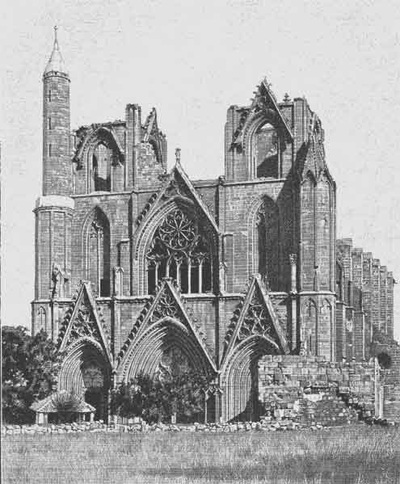 Its façade consisted of three arches supported by four columns and its most attractive part of the remains of the palace. Over the central arch the coat-of-arms of Giovanni Renier, Captain of Cyprus in 1552 were clearly visible. The afternoon went by quickly and the sun started setting. It was time for us to go. We left the lovely square of Famagusta that was now a Turkish town, and as we walked to the modern gate, I turned around and took a last look and remembered my last visit and St. George and wished for a safe journey back to England.